The Final Leg begins as teams must fly to Quebec City, Quebec with $850 on their BMO CashBack MasterCard. Teams find their next clue near the control tower at the Quebec Airport. And that clue reveals the Road Block: Who’s going to fall for this Road Block? 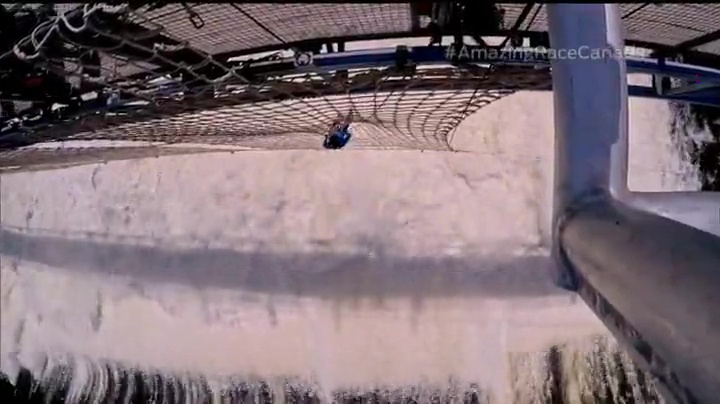 For this Road Block, teams will head to the Montmorency Falls, climb down a cargo net and grab their next clue before climbing back up. Korey, Paul and Ryan chose to do the Road Block. Korey & Ivana and Kenneth & Ryan’s cabs take them to the gondola while Sam & Paul’s take them right up to the top of the falls. 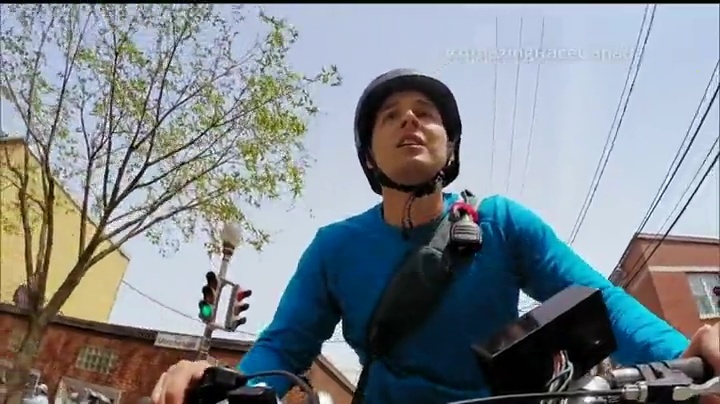 Paul finishes the Road Block before either team even arrives. Teams can now make their way to Blas de Bordeaux, choose a rickshaw and pick-up and deliver corresponding colored card passengers to three different locations. One team member will be the driver while the other will be the dispatcher communicating only via walkie and a provided map. 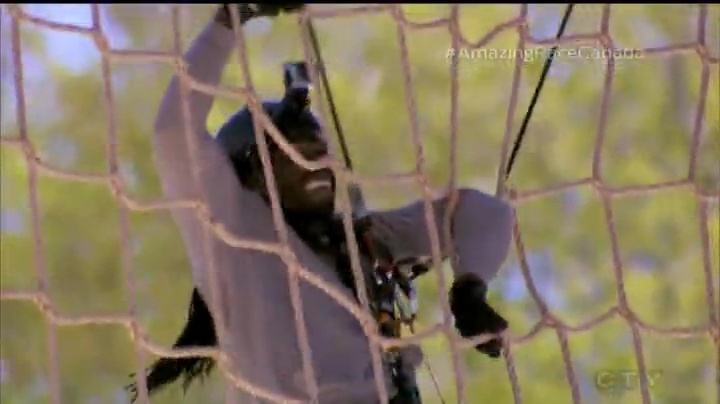 Paul finishes the Road Block next and Korey exerts himself too much climbing down that he is slower to climb back up. All the teams get to Blas de Bordeaux. Paul, Kenneth and Ivana are the drivers while Sam, Ryan and Korey are the dispatchers. 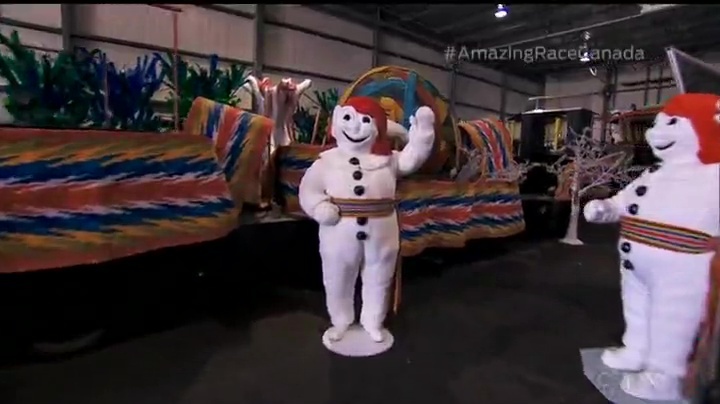 Sam & Paul finish first and can now make their way to Carnaval de Québec Warehouse and find their next clue with Bonhomme. Kenneth & Ryan are next and Korey & Ivana are last. The next clue is a box of chocolates directing teams to ‎Le Musée du chocolat Érico. They can exchange it for their next clue inside a huge chocolate egg. And that clue reveals another Road Block: Who’s about to wish they had done the first Road Block? For this Road Block, teams will pull themselves up the side of Observatoire de la Capitale and scan the city for their next clue. Sam, Kenneth and Ivana do this second Road Block. Sam & Paul and Kenneth & Ryan finish as Ivana gets to the top. Ivana thinks the clue is on the rooftop before realizing her mistake. She and Korey hurry off when she actually sees the rooftop flag. 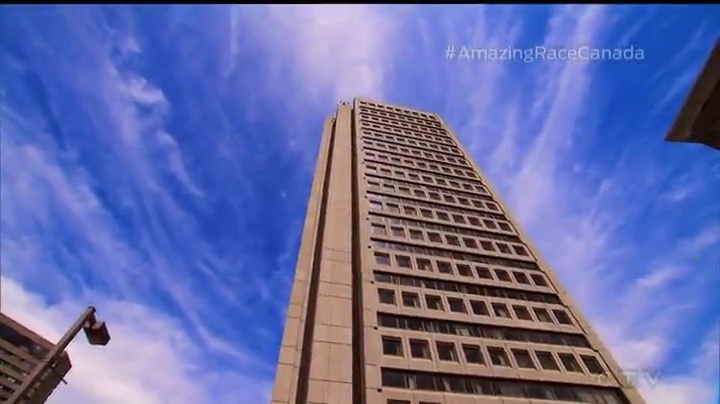 Kenneth & Ryan arrive at what they think is the correct location, but it is a different flag on the rooftop. They have to go back to the Observatoire. Sam & Paul get to the clue and it is the Final Task. For this task, teams will piece together a #Canada150 puzzle. First putting together the map of Canada, teams will then place the correct 6 out of 10 #Canada150 challenges onto the map to receive their final clue. Korey & Ivana arrive and get started. Kenneth & Ryan soon arrive and decide to place all their pieces on the board while the others piece together parts on the floor first. Kenneth & Ryan’s strategy works as they finish their map first, but they don’t have all their #Canada150 challenges correct. That allows Sam & Paul to get theirs and leave. 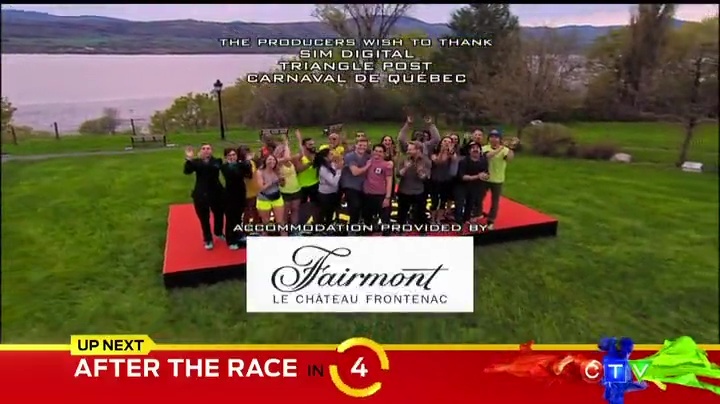 They can now make their way to Parc des Ancetres for the Finish Line where they officially cross the Finish Line first to win The Amazing Race #Canada150. Kenneth & Ryan are Team #2 and Korey & Ivana are Team #3. And there you go. 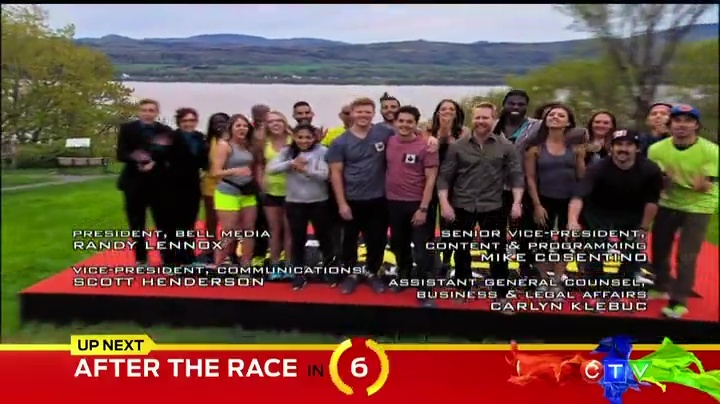 Season 5 of The Amazing Race Canada is done. But overall, it was an okay finale. It was basically two heights Road Blocks, another finale delivery task and a puzzle. Pretty simple Final Leg, but it was designed in a way that allowed teams to catch up if they were able to. As we saw, all teams were able to be at that final task at the same time. No first come, first served tasks here. All teams were able to Race side by side, which is excellent. Still, the puzzle memory task was predictably related to the #Canada150 challenges and it was the most simple and uninspired way to incorporate those tasks into a final challenge. None of the Final Leg was surprising. Not the challenges and certainly not the winners, to be honest. In 4 of these 5 Canadian seasons, the 3rd Place teams all would’ve made better winners, for me. (2nd placers Natalie & Meaghan of course would’ve been the preferred season 2 winners.) But it’s hard to find fault with Sam & Paul winning. It was a well-deserved win, if kinda boring from a TV standpoint. Hehe. Overall, a straightforward finale that wasn’t particularly thrilling, but not boring either. For a season celebrating Canada’s anniversary, I can confidently say it might have been the least Canada-obsessed season yet. Oh okay, I’ll come right out and say it. It was the least xenophobic season since the first one. There. Blunt. It’s no secret TAR Canada has exhibited some overly nationalistic themes and tasks that go beyond just being proud of one’s country. The self-contained TARs of Vietnam, the Philippines, China Rush and even TAR8 were less concerned about ensuring “Our Country 1st!” and more about making do with the budget they had while also highlighting some nice tourist destinations in their respective countries. TAR Canada has gone out of its way (by staying within its own borders) to push this “You don’t need to travel somewhere else” attitude almost to a comical amount. The idea (threat?) of a season celebrating Canada’s 150th anniversary worried some that the nationalism and patriotic-ness of season’s past would be nothing compared to what we were going to get for season 5. But again, this season surprisingly laid off on that stuff and it was better for it. The problems this season had were more on recycled tasks and obviously running out of viable Canadian locations. Most of the Legs this season were in more rural Canada. And most of those rural Legs were actually better than many Legs they’ve staged in bigger cities the last few seasons. The international Legs were of course the strongest Legs of the season, no question. Just having the teams in a different country helped provide a wonderful, refreshing and kinetic dynamic that just isn’t present while in Canada. The tasks were all great. But for the local Legs, the Fort McMurray and Castlegar/Nelson Legs were great to start the season. Good tasks and well-designed Legs. The Ottawa Leg had the unfortunate position of being placed after the Asian Legs, but it was still a solid Leg. And the citizenship test actually was the opposite of a xenophobic, Canada rah-rah task, as I had explained in my recap of that episode. Leg 7, the Corner Brook, NL Leg had to be the weakest, blandest Leg of the season. It really did not fully take advantage of the location and the tasks were just completely uninspired and uninteresting. Legs 9 and 10 were okay, but definitely the next least exciting Legs after Leg 7. Tasks were fine, but only just. Certainly not as refreshing as the earlier small town Legs. But again, overall, these small town Legs were much more interesting than the bigger city Legs in the last season or two. Visiting these smaller towns and maybe even pairing them with more elaborate and exciting international Legs actually wouldn’t be a bad idea. But even so, we saw many recycled variations of tasks. And not just general TAR tasks, but TAR Canada tasks even. Anyway, I prefer this season over the last three to be honest. The last three ended very bitter and catty and just unpleasant. This season was still competitive without being mean-spirited. Even with Sam & Paul seemingly dominating half the Race, Leg design most of the Race helped to keep things interesting with teams moving around the placements regularly. That’s a good thing. Also a good thing is the opening credits. They’ve adopted the new graphics style, but tweaked it to avoid being the Opening Credits of DOOM like TARUS was. This was the best use of the new team IDs in the opening credits. TAR Asia helped lessen the eyesore and now TAR Canada has found the perfect balance. Hope TARUS takes note. Overall, I think this season is my favorite since season 1. While not the most exciting, it was also wasn’t the most annoying or upsetting. And with TAR Canada, that’s a big deal. No word on season 6 yet, apparently. But now that #Canada150 is out of the way, let’s hope we can at the very least get one or two more international Legs next. A full international Race would be ideal. But again, the annual hope is to increase the number of Legs outside of Canada. Canada’s been great, but it really is time to get out of the country. Or at the very least, get more inspired and creative with the home Legs. Korey & Ivana were definitely my favorites this season and have become one of my all-time TAR Canada favorites too. They were great competitors and fun personalities. Navigationally challenged, maybe. But they were just fun and enjoyable to watch. Hope to see them on a future All-Stars, if ever. Zed & Shabbir showed how to be a GOOD father-son team, if you know what I mean. They were fun (Shabbir especially) and Raced well, except for their last one which had a little bit of luck involved as well. But they were also great to watch. Megan & Courtney had a lot of potential to be a fun, strong team to watch. A miscalculation got them eliminated, but they were a good team. Karen & Bert were under the radar most of the Race, but definitely came into their own as the Race went on. They stepped it up when they needed to and made it farther because of it. 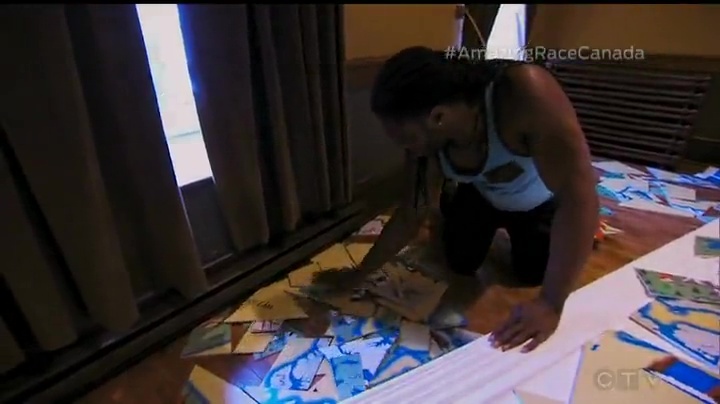 Andrea & Ebonie definitely started the Race off on the wrong foot. Their quitting of the first task is just unprecedented and could’ve been a major dealbreaker. But they were able to recover and redeem themselves through their pretty great Racing the rest of the way. Not a fan of their alliance with Adam & Andrea, but it wasn’t a major part of their narratives. The siblings were a solid, at times strong team. They did very well and were also great to watch compete. Sam & Paul were kinda boring, but not to the level of being racebots at least. Their win was certainly well-deserved. Aaron & Deb had potential as well. It’s too bad they were eliminated so soon, but they were great for what little we saw. Dan & Riya were being touted as a Joey & Meghan-type, but they were actually not bad at all. They could’ve provided some fun down the stretch. And finally Kenneth & Ryan. At times their mugging for the camera was just too much. They were obviously playing it up and it was very annoying. Other times when they were toned down, they were fine. And they Raced solid throughout the Race.